With reference to “10 years Anneke” we interview one of our staff members from the very beginning. So for the most of the people related to Anneke Residence she is a well known face, Duly Estruch, manager of the nursing home. But how did she came to Anneke? What did she do before? Time to get better acquainted with Duly. Since when do you work in Anneke Residene? According to you, what are the most significant changes in those 10 years? What did your learn from residents? In which way would you like to see that the residents of Anneke look at you? What would be the ideal profile of a staff member of Anneke? ‘Well apart from the proffesional knowledgement which they need to have ofcourse, the preparedness and skills to be able to work as a team is essential. that they care for details and that they are able to anticipate to the different needs of our residents. Apart from that having a lot of pacience, demostrating affection are very important as well as having sense for humor. Knowledge of other languages and especially other habits and cultures is a big advantage here in Anneke. But also being curious to learn, being able to motivate oneself to improve. Duly, thanks for your dedication in all those years and your support to our organisation! This summer we celebrate the ten year anniversary of Anneke Integral Care Services. 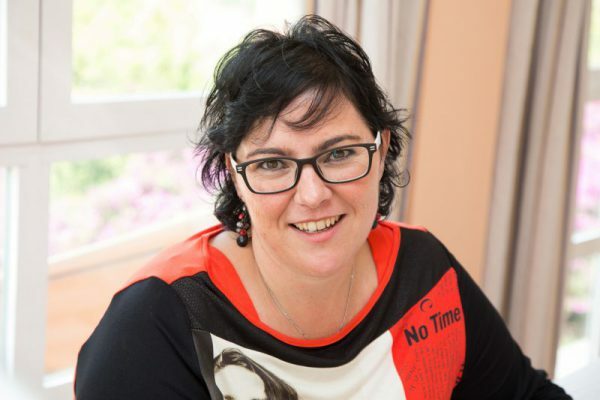 An opportunity to look back and contemplate with our founder, Lisette de Leeuw-Kessels. 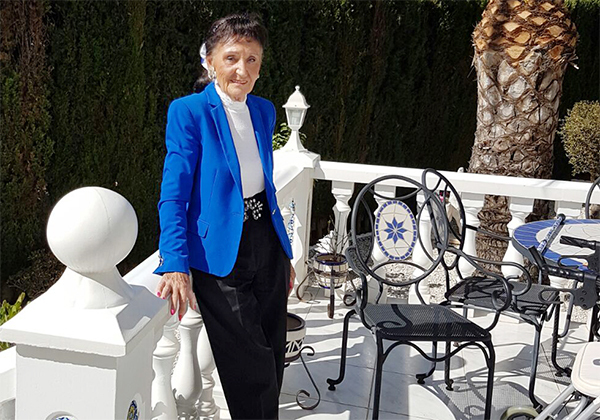 Born and raised in the south of the Netherlands, she immigrated to Spain in 1996 to pursue her dream – a healthcare institute. In 2001, Thuiszorg Costa Blanca was founded and in 2007 extended with Anneke Residence, which led to a name change of the organisation, after her mother, Anneke. Everyday, Lisette strives to deliver the best care with a passionate team of sixty employees. Congratulations with this anniversary Lisette. A great milestone. What are the key things that changed for you during these ten years? ENJOY A CAREFREE HOLIDAY AT THE COSTA BLANCA WITH ANNEKE HOME CARE! 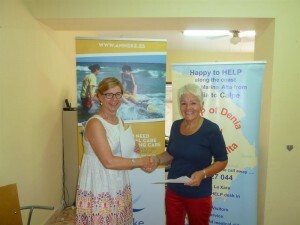 Did you know that Anneke takes over the care in Spain you receive at home ? Multi-lingual and professional carers of Anneke Home Care will help you at your holiday accommodation to enjoy your holiday at max! Services can include wheelchair buses and mobility equipment. 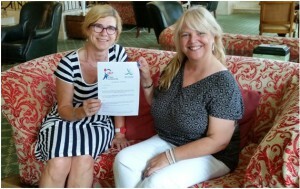 “During my stay I applied to the Home Care Team of Anneke. Alternating Paula en Sally came to attend me, two awesome, nice and very professional nurses. No doubt to strongly recommend Anneke Home Care to your clients!”. For more information about services and tariffs of Home Care of Anneke visit: www.anneke.es. 2007-2017: 10 YEARS ANNEKE RESIDENCE! On the 8th of June it´s 10 years ago that Anneke Residence has been acquired! Thus extending care services from all types of Home Care with a Nursing Home for rehabilitation, day care center and permanent living for dependent elderly. The new name was introduced for both home care as well as nursing home care: Anneke Integral Care Services. 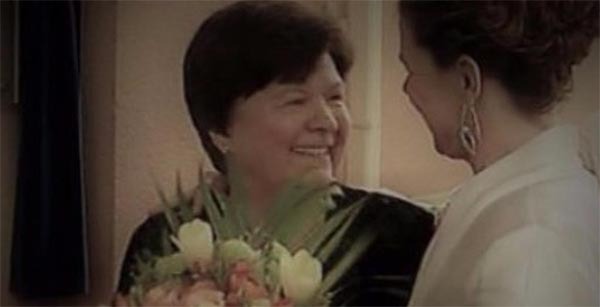 This will be celebrated all summer long , to start on the 8th of June, the day of acquisition until the 4th of October, the day when Anneke Kessels-Derks, who’s name has been given to this organisation, inaugurated the nursing home under it´s new name. Each month will have a theme of one of the native countries our clients come from. Successively the Netherlands/Belgium for the month of June, Spain for the month of July, Great Britain for the month of August, Germany/Switzerland for the month of September. There are three special events each month: one culinary event where a cook is invited to prepare local dish, a musical event with evergreens and a sports event with a typical game from one of the above countries. We started the 8th of June with the inauguration of a very special exposition. In the following newsletters we will update you on the evens. Follow us on Facebook or www.anneke.es. A broken leg is always misery. But it would be extra challenging if you’re alone and after surgery, you’re send home to recover, in a house with stairs. Your family is overseas. What would you do? Read about Annie Nessman’s choice (photo). ‘At first I was very determined to go back home as soon as possible. Everyone prefers to be home in the end. But it just wasn’t an option. I’m a widow and I live alone. I wasn’t allowed to stand on my leg yet. My son lives in The Netherlands.’ Annie faced a though decision. She chose to move temporarily to Anneke Residence. Elderly are prone to fractures. The recovery takes more time and comes with a greater risk of complications. Therefore we recommend to surround yourself with professionals, assisting you during the rehabilitation process. Collaboration between HELP of Denia and Marina Alta and Anneke Integral Care Services for specialised Home Care or Nursing Home Care. Uso de cookies. En este sitio se usan cookies propias y de terceros para mejorar nuestros servicios y mostrarle publicidad relacionada con sus preferencias mediante el análisis de sus hábitos de navegación. Si continúa navegando, se considera que acepta su uso.